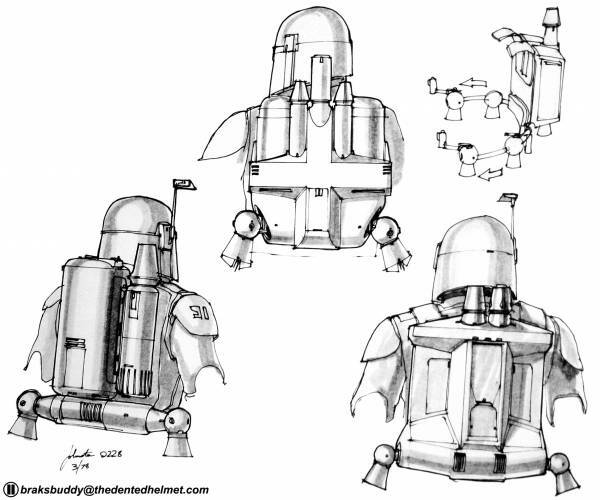 Most of you know Joe Johnston as the director of Captain America: The First Avenger, Jurassic Park III and The Rocketeer, but a long time ago in a galaxy far, far away Johnston began working in the film industry as a concept artist for George Lucas' Star Wars films. 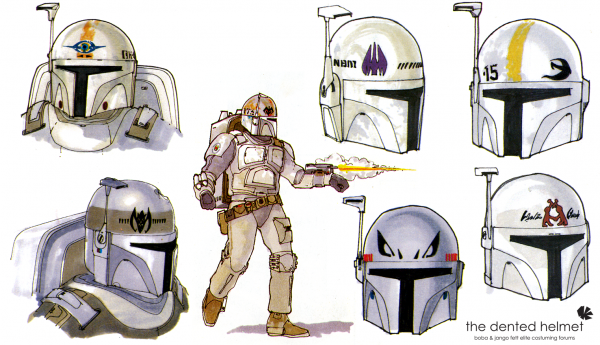 He and legendary concept artist Ralph McQuarrie worked on designs for the bounty hunter Boba Fett. 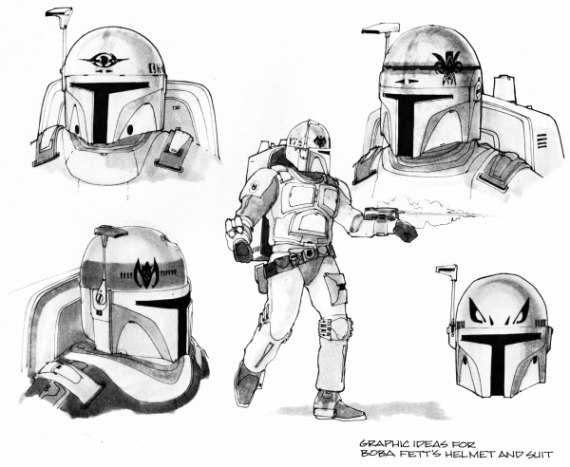 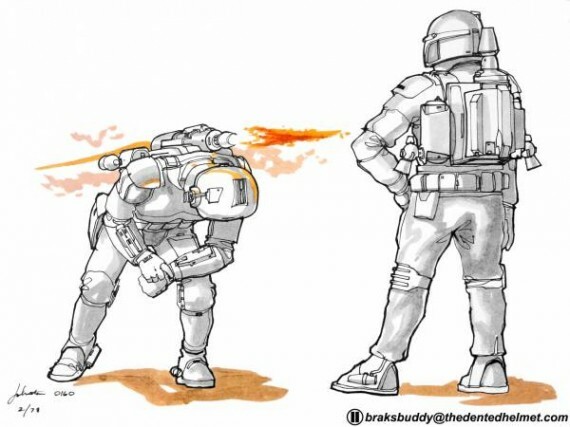 Thanks to the Star Wars fansite The Dented Helmet (via CBR) we can now look at Johnston's alternate Boba Fett designs. 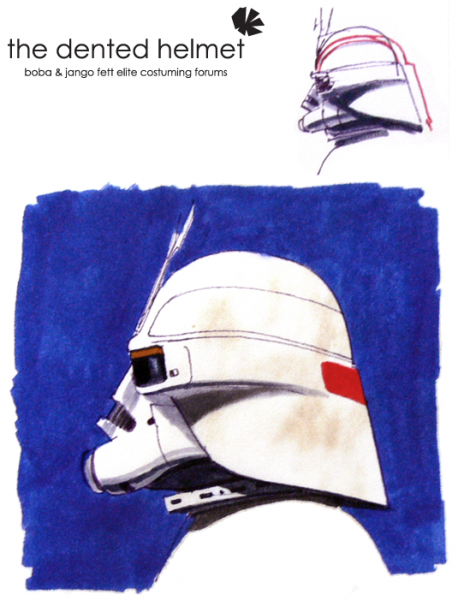 As you can see, the original designs featued white armor as it was supposed to create a contrast with Darth Vader's all-black look. 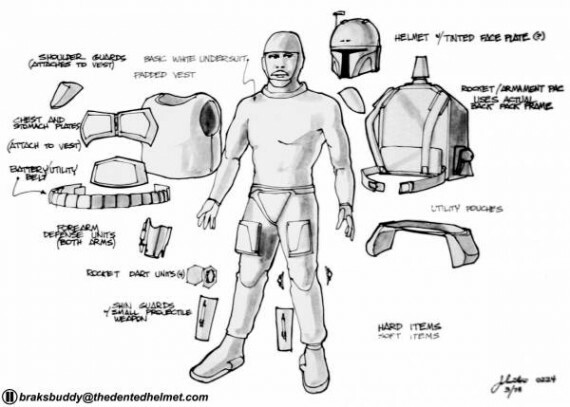 Lucas chose to add grey to the costume for the final look to represent Boba Fett as morally ambiguous. 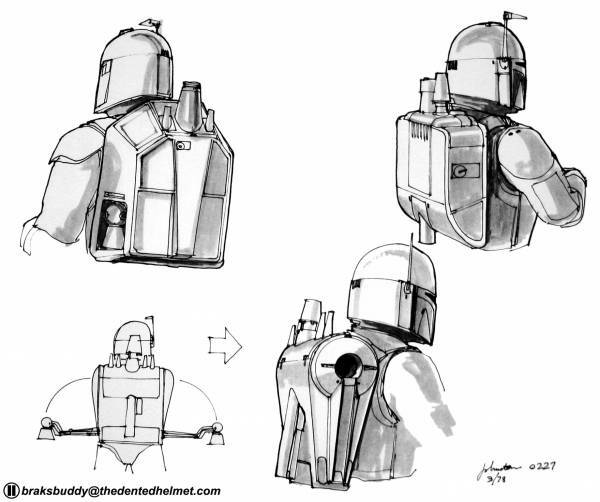 Fun Fact: Boba Fett first appeared at the San Anselmo Country Fair parade. 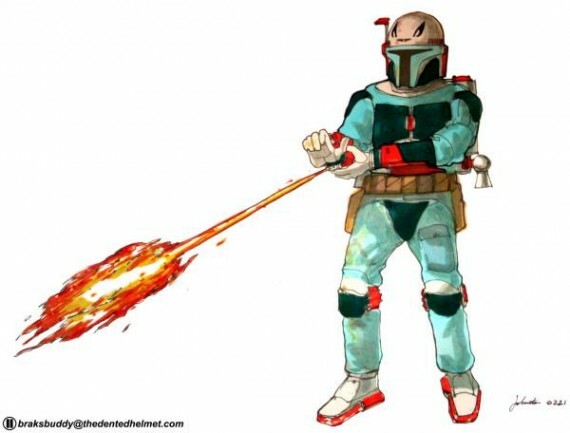 His second appearance was on the widely panned Star Wars Holiday Special. 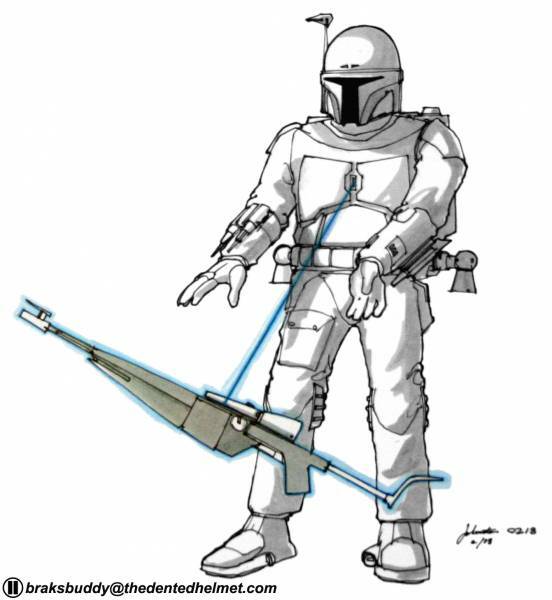 He made his feature film debut in Star Wars Episode V: The Empire Strikes Back.